Ponemon Institute researchers interviewed IT, compliance and information security practitioners representing 419 organizations across 12 countries: United States, United Kingdom, Germany, Australia, France, Brazil, Japan, Italy, India, the Middle East (including United Arab Emirates and Saudi Arabia), Canada and the ASEAN region (including Singapore, Indonesia, the Philippines and Malaysia). The average costs and consequences related to experiencing a data breach incident. 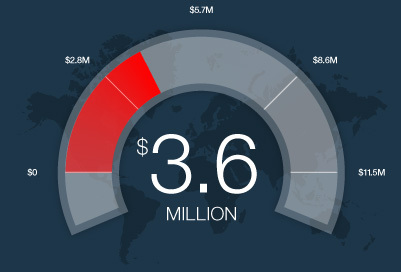 What regional trends are there that affect the cost of a data breach. The most common factors that influence and can limit the cost of a breach.